Seeing as we just enjoyed the most beautiful, sunny long weekend, I am loath to bring up Christmas. But here I go anyway. We visited my mom and dad on the weekend. (Dad recently celebrated his 89th birthday!) I always come home with a box of some vintage something or other. This time it was Christmas albums. I remember some of these Christmas records from when I was a kid - like my favourite, Rudolph The Red-Nosed Reindeer, and the Ronco Presents: A Christmas Gift. We obviously over-used the pop-up manger scene inside, because it doesn't pop up any more. In terms of cover art, I gotta say I love the Dennis Day Sings: Christmas is For The Family album. Seven kids (including an infant) and Mom's wearing full makeup...and pajamas. And "Santa," aka Jack Benny, has taken his beard off to play the Stradivarius, thus shattering the Day children's illusions about Santa. I'm looking forward to listening to all of these Christmas albums...in December, of course. Are you a fan of Christmas music? 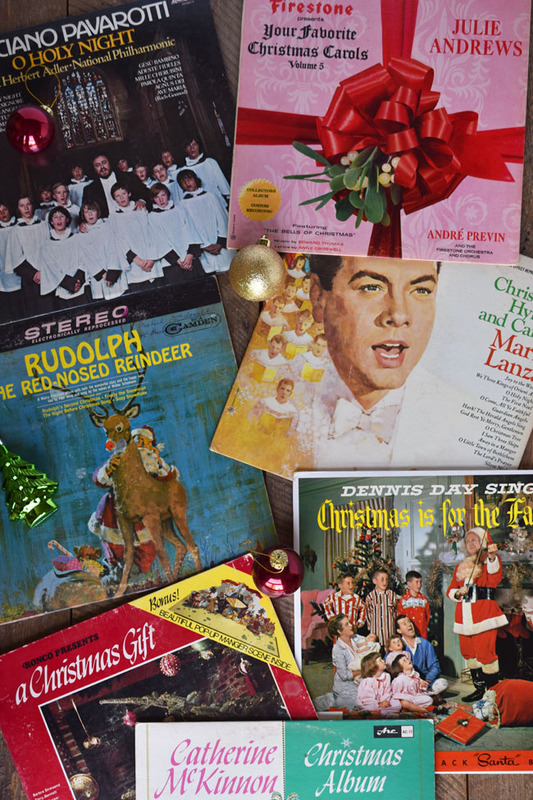 Do you have vintage Christmas albums? Album covers - a blast from the past. I love Christmas music so I enjoy hearing it beginning in November. I would listen to it more if I could. LOL! When my brother was little he would even play it in the summer. Those album covers are great! !